Grow your business with the technologies used by Netflix, AirBnB and NASA. Today it’s possible. Cloud computing is a source of unlimited possibilities. We will show you the best ones for you. We know Cloud computing inside out. 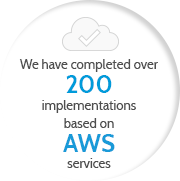 We have specialised in implementing solutions offered by Amazon Web Services since 2007, virtually from the moment they became available. We test every new AWS service, so that we can advise our clients on the best solutions. So far, we have completed over 200 projects using the latest Amazon services for our clients, who include Sharp, Nutricia and The Guardian. For over a decade, we have been developing under the watchful eye of a prominent cloud computing forecast analyst, Jacek Biernat, who understands clouds better than most. 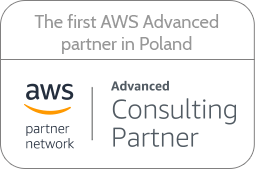 Thanks to our determination and hard work we became the first Advanced Partner of Amazon in Poland and the majority of our team has individual Amazon certificates confirming their competencies as well. And, as we are also one of the selected certified companies who are part of the Docker community, we know very well all the solutions of the platform, including the newest ones. ACHIEVED EFFECTS: Thanks to the implementation of the proposed solutions, we have significantly reduced the cost of maintaining the environment and increased the level of its monitoring and security. 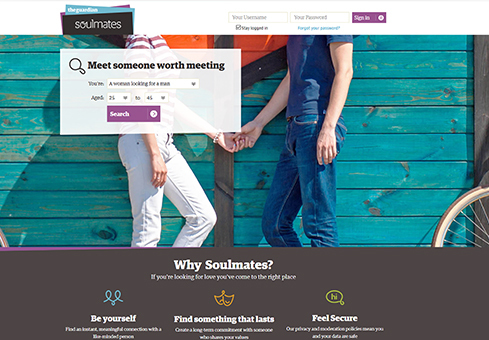 CHALLENGE: SoulMates is a leading british dating portal owned by Guardian News & Media Limited, which is visited by over 500 000 users a month. IMPLEMENTED SOLUTIONS: due to lack of technical documentation, we started the task with an audit to learn in detail about character of the application and all resources used to make it function. then, we cleared numerous errors from the application and proceeded to design a private cloud computing (using AWS vpc) on the basis of AWS public cloud. ACHIEVED EFFECTS: We achieved all the goals set for the project, both the interim and long-term ones. 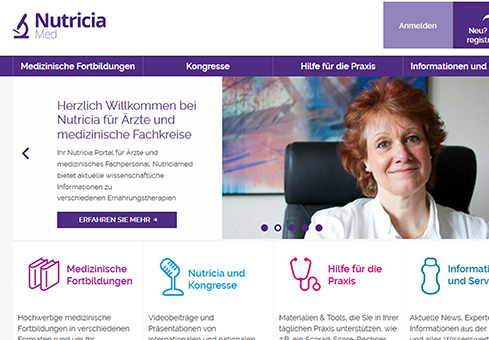 CHALLENGE: Nutricia is a global brand specialising in early life nutrition and medical nutrition (Danone Group), which owns dozens of services – from corporate ones, through websites dedicated to specific brands, to advertising. each of them had a different amount of traffic and their own purpose. IMPLEMENTED SOLUTIONS: We achieved full separation of resources and independent activity of all www services. We built two environments for the client: a test one and a production one. We identified and prevented the “bottleneck” problem, that is, a situation in which the efficiency of the whole system may decrease because of one r several elements of the architecture or the application. ACHIEVED EFFECTS: We created modern, safe, effective, and scaled infrastructure which adjusts to the added new services and increased traffic resulting from advertising campaigns. 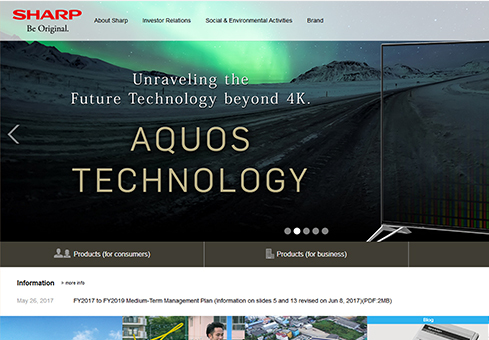 ULMUS – IoT application for Sharp smart TV. CHALLENGE: The purpose of the UlmUS application was to monitor users behaviours according to set criteria, e.g. time spent watching a specific channel. ACHIEVED EFFECTS: We fulfilled the task we’ve been entrusted with in 100%. The project of an innovative application met all set requirements and purposes, therefore the client decided to implement it without making any changes. The client selected specialists from their own team, who implemented the project according to our instructions.